Situated at a distance of 156 kms to the north of Shimla, it is often referred to as the gateway to the Kullu valley. The historic town of Mandi is built along the banks of the river Beas. Mandi seems to have derived its name from the Sanskrit word ‘Mandoika’ meaning an open hall or shed. It was also well known to the Tibetans who called it Zahor. It has long been an important commercial centre. This one time capital of the princely state of Mandi is a fast developing town that still retains much of its original charm and character. Today, it is a district headquarters. Mandi is renowned for its 81 old stone temples and their enormous range of fine carving. Because of this, it is often called the “Varanasi of the Hills`. You can see beautiful temples with stone carvings on it. These temples are built in between 16th and 17th century. The most famous temples are Madho Rai temple, Tarna Devi temple and the Bhootnath temple where the Shivratri festival is celebrated with joy and ecstasy. Built of rough stone in a shikhra style, these temples could be seen all over the town on the right and left of the river Beas. The town’s antiquity is established by the Triloknath temple which was built around 1520 A.D. 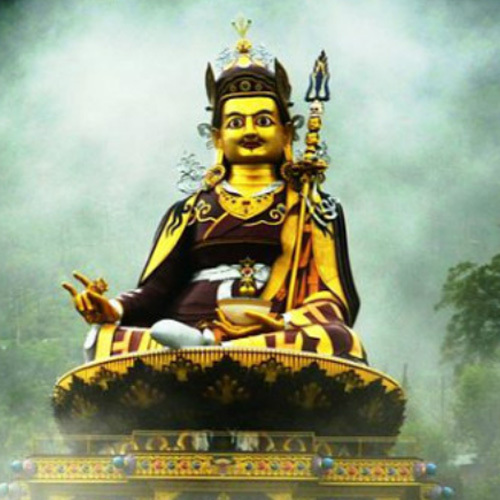 It was at Rewalsar (25 km from Mandi) that the Buddhist monk Padma Sambhava preached the message of the enlightened one and made a substantial contribution towards the spread of Buddhism in the region, carrying it as far as Tibet. The town also has the remains of old palaces and notable examples of ‘colonial’ architecture. Mandi is the gateway to the Kullu valley and acts as the base for several exciting excursions. 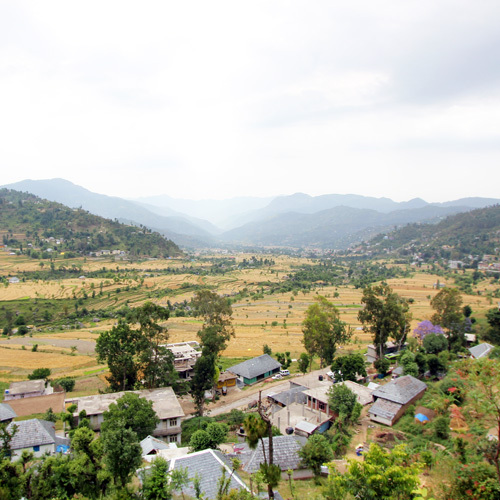 Mandi is blessed with some of the most spectacular and beautiful landscapes anywhere and is a travelers paradise with lofty snow peaks, lush green valleys, fast flowing rivers, enchanting mountain lakes, beautiful temples and monasteries steeped in time. The busy market of the town is located in the centre and here one can get all type of products. REWALSAR: About 25 kms from Mandi, 14 kms from Ner Chowk is the Rewalsar lake, famous for its floating islands of reed. It is believed that all seven of them can be moved by prayer or breeze. There are three shrines here, a Buddhist Monastery, where elaborate rituals are performed, a Sikh Gurudwara and a Hindu Temple. It was from this place that the sage Padma Sambhava, a zealous teacher of Buddhism, left as a missionary to preach the doctrine of “the enlightened” in Tibet. Lying in a mountain hollow, the lake is held sacred to all three communities. PRASHAR: A scenic place, where the tranquility of the hilly terrain is supplemented by the magnificence of a beautiful lake Prashar in Mandi presents an impressive ambiance. This lake lies 49 kms north of Mandi, with a three storied pagoda like temple dedicated to the sage Prashar.The high mountain of this pretty place houses the Prashar Lake, which is named after the saint Prashar. The lake is nourished by the tiny brooks of the mountains and the bluish water of the lake would create a rejuvenating feeling to the visitor. In addition to its aesthetic beauty, the lake holds a 14th century temple that is built by Raja Ban Sen.A three storied building with pagoda like structure, the temple expresses exquisite carvings in wood. A wonderful sight of the peaks can be viewed from the acme of the temple. The bank of the lake stages an annual fair which grabs large number of gathering from the neighboring areas. JOGINDER NAGAR: The large hydro-electric project in Jogindernagar is a living tribute to man. It’s a perfect example how man has harnessed and tamed the wild and roaring river for his betterment. Here, an electric trolley takes the visitor up the steep, rocky face of 2,500 meter-high (8,202 ft) mountain and drops sharply on the other side to Barot, where the reservoir is located. The railway line goes up to the power station where the water rushing down from the reservoir at Barot in the Uhl river through penstock pipes goes down nearly a thousand meters (3,280 ft). For tourists who go up to Barot by the trolley, there is a comfortable rest house of the Electricity department. The road extends beyond to Mandi and passes the Largi gorge to the Kullu valley.Bassi power station is five kilometers from Jogindernagar and next to it is Machinhar where fishing is not permitted as it is considered a sacred spot, but it is a popular as a feeding spot for fish. SUNDER NAGAR: Placed at an altitude of 1150 meters, 26 kms from Mandi towards Shimla, the gorgeous town of Sunder Nagar is famous for its dappled strides in the midst of soaring trees. Pretty surroundings of a valley and the sacred temples of Mahamaya and Sukhdev Vatika make this city a hot spot of visitors. These temples are well recognized pilgrim centers in the near locality. The Beas-Sutlej project, one among the biggest hydroelectric projects in Asia is located here. It is the chief source of irrigation to the northern plains of India, which has fetched enormous opulence to Suder Nagar. The Beas-Sutlej link colony is the biggest colony in Himachal Pradesh.Sunder Nagar is located at the suburbs of Mandi, and a pleasure trip from Mandi to this lovely town offers the majestic scenery of a lush, verdant fields besides a ever flowing Beas-Sutlej link Canal. JANJEHLI: At a distance of 67 kms from Mandi, Janjehli is a paradise for hikers, offering treks up to a height of 3,300 metres. After covering 32 kms by a motorable road up to Gohar, rest of the journey is on foot. In the midest of thick forest, forests (15 km from Gohar) is Bajahi. There is a beautiful and well furnished rest house to stay overnight. From here Janjehli is a scant 20 kms away through bridle path. Janlehli is also popular for adventure activities like-trekking, night safari, mountneering, skiing etc. At the distance of 10 km from janjehli the Shikari Mata temple is situated. BAROT: A remote locale in Mandi, Barot is bounded by deep woody forest comprised of Deodar trees. An array of attractions are in waiting for a traveler in this tiny village. The reservoir of the Joginder Nagar Hydel Power Project is located here. A wonderful location which provides enormous opportunities of angling, fishing and trekking, Barot became a hiving center of tourism in recent years. Another important sight in this place is the Joginder Nagar power station. An electric trolley, which gets the tourist up to the sharp, stony face of a peak of 2,600 meters high and plunges harshly on the face of the reservoir, is an amazing experience. Since a hamlet, Barot does not have star accommodation facilities to offer, but the locals of this hilly village provide neat and comfortable lodging facilities in their homes. Bhootnath Temple: Practically synonymous with Mandi and located in its very heart, this is as old as the town itself , and dates back to the 1520s. In March, the festival of Shivratri is a major event and the Bhootnath temple is its focus. For and entire week the town celebrates the arrival of hundreds of local deities on elaborately decorated palanquins. ARDHNARISHWER Temple: Lord Shiva in the composite form of half man and half woman is the principal deity of this unique temple. Such temples are very rare in the India and the deity here signifies the beautiful ideology of Ardhnareshwar. Apart from the feeling it generates, this temple exhibits the richness of traditional architecture with elaborate carvings.It is remarkable to notice that the female is depicted in the left portion of the deity. The myth behind this fabulous shrine might be the principle that women are the integral part of men’s life. A unique temple, which displays exceptional architectural elegance, is now a protected monument under the ASI. The holy darsan of this ancient temple evokes a great emotion in the minds of the devotees. GURUDWARA PALANG SAHIB: Guru Gobind Singh is a respected figure in the history of the Sikh tradition in India. It was under his auspicious guidance that the Sikhs were united and fought their war against the despotic rule of Auranghazeb. In his war against the mighty King, Gobind Singh got enormous support from the ruling reign of the Manda state. It is believed that the town is blessed by the great Guru. Out of the two shrines dedicated to the memory of Gobind Singh, the inner shrine in the palace premises is looked after by the royal family. The Gurdwara on the banks of the river is popularly called as the Gurudwara Palang Sahab, since Guru’s bed is still conserved here. PANCHVAKTRA TEMPLE: An abode of numerous temples, most of which are dedicated to Lord Shiva, Mandi proposes a great pilgrimage center for the devotees. It is amazing to see that this small hilly area has more than three hundred temples flanking the River Beas. Almost all the temples display world-class architecture and structural designs that forced the Archaeological department to declare them as protected monuments. One among these protected monuments, Panchavaktra temple has been adjudged as a national heritage site by the ASI. Panchvaktra Temple is a perfect example of Shikhara style architecture. Dedicated to Lord Shiva, the deity here has five faces, which depicts his five characteristics. Placed at the convergence of Suketi and Beas rivers, the serenity of the temple appears more charming. TARNA (SHYMA KALI )TEMPLE: Dedicated to Syama Kali, an incarnation of goddess Parvathi, Shyama Kali Temple, at Mandi is a well known sacred place. Situated on the tarana Hills, this temple is also known as Tarna Devi temple. The walls of the shrine are embellished with paintings of goddess and the inner sanctum of the temple is ornamented with intricate designs in gold. This 17th century temple is built by Raja Shyam Sen who was a great devotee of Kali. Being placed on the top of the hill the entire town is visible from the top of this temple. The dense forest that bounds the temple provides a scenic beauty to this sacred shrine. The deity in a ferocious image makes the devotee with fear and faith. TRILOKH NATH TEMPLE: One among the oldest temples in Mandi, Triloknath Temple is situated at Purani Mandi. Built in AD 1520 by the then queen, Sultan Devi, Trilok Nath temple in Mandi features excellence in architecture. Dedicated to Lord Shiva, the temple premises are enshrined with numerous images of the destroyer of the universe. The main deity is seen flanked with his consort Parvathi and the Nandi Bull. The sanctum of the temple is adorned by a three-face image of lord Shiva, which is quite captivating. Besides the main deity, temple also holds idols of other gods like Sharda and Narda.